The nuns habit on display is depicted in this picture. 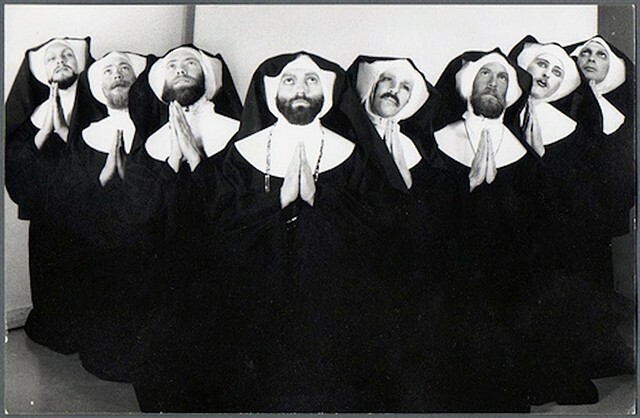 It is worn by Sister Mary Media (3rd from the left). This photo was taken shortly after they first got the habits from the Neighborhood Arts Programs Costume Bank.